When Will Tech Get Smart Enough to Stop Being ‘Men’s Work’? Only men should be plumbers. That sounds absurd, doesn’t it? But once upon a time, it was completely acceptable to call a male-dominated trade “men’s work.” So what about the tech field? Is this men’s work as well? Some people use this old-fashioned line of thinking to explain the glaring lack of women in tech. But does the field lack gender diversity because women are incapable of excelling in it? Or are women simply not interested in tech? As a future physician, you’re constantly learning. You spend years studying, memorizing, reciting, hypothesizing, shadowing, and practicing — laying the foundation for the rest of your career. And if you strive to be a patient advocate, your acquisition of skills and knowledge will only continue. That’s why it’s crucial to start learning the ins and outs of healthcare analytics right now. With each passing year, technology and data play a larger role in healthcare. So it won’t be long before analytics are a major component of every physician’s daily routine. Getting a head start on the facts means you’ll not only be one step ahead of your future colleagues, but you’ll also arm yourself with knowledge that could positively impact the health and lifespan of your future patients. The introduction of technology and data has brought about some amazing changes in healthcare. Thanks to electronic health records, doctors have access to more patient information than ever before. And because data provides a well-rounded picture of a patient’s health, it eliminates a lot of the guesswork in diagnostics, cuts down on costs by eliminating unnecessary tests and treatments, and even forecasts when the patient will face health issues. As more and more facilities take advantage of analytics, physicians’ roles will likely change. With predictive information at their fingertips, they’ll be able to adopt more of a consultative role. And in doing so, they’ll spend more time with individual patients, form longer-lasting patient relationships, and decrease negative patient outcomes. But like any new initiative, there’s a learning curve, and traditionally, physicians aren’t analytics-focused professionals. What’s more, even if a physician is ready to adopt analytics, many organizations are still in a transitional phase of making this a commonplace process. However, healthcare is moving in that direction, and as data-driven, predictive medicine becomes pervasive, all physicians will have to be trained on the programs before they can benefit from the massive amounts of information at their fingertips. Luckily, you can avoid the awkward transition period by getting a jumpstart on learning about healthcare analytics now. 1. Smart data is information that makes sense to users, such as graphs or charts that make meaningless numbers digestible. Algorithms can turn mounds of patient data into actionable insights, which will help doctors make more accurate diagnoses. For example, imagine that a patient visits the ER complaining of chest pain. 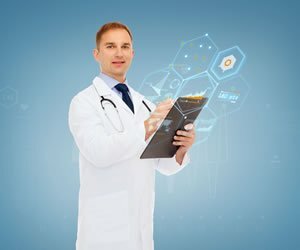 It can be tough to gauge whether the patient should be hospitalized, but by entering his information into a system with an accurate predictive algorithm, a doctor can supplement his judgment with that of the algorithm. This way, he can make the best decision possible. 2. Big data is a huge buzzword these days, but at its core, it’s actually quite simple: Big data is any data that is too big or too fast to fit within the structures of a conventional database. Having access to this large amount of data will help doctors successfully anticipate, diagnose, and treat illnesses. 3. Analytics leverage data in a particular functional process or application to enable actionable, context-specific insight. Analytics are used in an array of industries to process real-time data so leaders can make quick business decisions. In healthcare, analytics can be used to collect patient feedback on the quality of care, which physicians can use to improve their practices. 4. The Internet of Things (IoT) is the concept of connecting any device with a switch to the Internet or another device. It’s a giant network of connected “things,” including people-to-people, people-to-things, and things-to-things relationships. By the year 2020, it’s estimated that there will be more than 26 billion connected devices. Wearable devices are becoming huge in healthcare for patients who need to track their health information. Some facilities have even started using “smart beds,” which can detect when beds are taken and when patients are getting up. These beds can also apply pressure based on patients’ needs without a nurse’s manual help. 5. Business intelligence (BI) is an umbrella term for a variety of software applications — such as data mining, online analytics processing, querying, and reporting — used to analyze an organization’s raw data. In a healthcare setting, it can be used to cut hospital costs, perform innovative research, and improve the decision-making process. Doctors make critical decisions every day, so BI is an important tool for them. 6. Data dashboards are graphical reports of static or real-time data on a desktop or mobile device. Dashboards provide a quick summary of significant or changing information, including important patient data. With a data dashboard, patient data will be readily visible, which will cut down on the time doctors have to spend sifting through raw data. Once you’ve gotten a grasp on the terminology and methodology, you can begin investigating where data is stored and how it’s currently being analyzed in the medical world. Look into where organizations are integrating technology and data analysis to improve healthcare. Then, you’ll be ready to tackle the future of data. There’s a major evolution in healthcare on the horizon that will transform the way medicine is practiced. Refining your foundational skills now will help to position you as a caring, forward-thinking physician in the future. When a brown bear catches a salmon, it doesn’t simply devour it; it picks it apart for the most nutritious cuts. Just like a bear, as a business owner you can’t stop at the data-gathering stage. To feed your company with meaningful data, you must refine and process it to extract the meatiest bits. In short, you need to turn data collection into data action. Business leaders no longer struggle with data collection and storage. Virtually anyone can access cloud software and collection methods without breaking the bank. The real challenge lies in tying raw information to your infrastructure. But according to a study by Accenture and General Electric, 89 percent of executives see big data analytics as the make-or-break point for startups, yet few take action based on data. By failing to incorporate a data analytics strategy, you risk losing market share and momentum. As an entrepreneur, the odds are undeniably against you. When one small misstep could spell disaster for your startup, you can’t afford to ignore data infrastructure. Data-driven decision-making is informed, confident, and factual and allows you to make decisions using your head, not just your instincts. The first step is recognizing all your data sources internally and ensuring you have access to both structured and unstructured data. You might already be collecting useful data as a byproduct of another process, such as the volume of downloads you receive at particular times of the day. By connecting metrics to your wild internal data, you’ll start to glean trends and warning signs that will point you to the right action steps. For example, trends could show signs that an employee isn’t hitting the mark or should be rewarded for her outstanding performance. To start turning your data collection into action, think of your data in terms of innovation opportunities. Look at consumer behavior trends alongside your product list, and it should become clear when something is amiss. For example, you might need to discontinue a product if you notice a lack of interest or it’s inconsistent with your target demographic. Using that information, you can quickly start improving your services and product offering and be confident you’re making well-informed decisions. Aspirational companies collect data throughout their organizations, but they only use that information to measure how effective a decision was rather than to actually drivetheir decisions. Experienced companies use previously collected data to make decisions for the future. Data is integrated into some (but not all) business development aspects and functions. Being a tech entrepreneur doesn’t have to mean sitting at a desk coding all day or running from one meeting to the next. For me, taking the time to share my ideas with others is a natural extension of innovation and discovery. Since starting my company almost 20 years ago, I’ve experienced success and failure, I’ve had hard times and prosperous ones, and I’ve survived two economic crashes. Looking back at my experiences, I felt a strong urge to share them to help the next generation of innovators enter the startup world with confidence. Being offered the title of entrepreneur in residence at Columbia Business School gave me the perfect opportunity to satisfy that craving. Not only has the position been one of the most personally enriching experiences of my career, but it has also invigorated my business by pushing me to think creatively. Like many top schools throughout the country, Columbia Business School actively engages alumni and business professionals. Its Eugene Lang Entrepreneurship Center gives students the benefit of real-world experience. I got involved with the program by chance. I was on a panel to judge student presentations for the school’s entrepreneurship program, and Clifford Schorer, a professor I had worked with, asked me to be a guest lecturer for his class. He said there was no better feeling than helping a person succeed — and he was right. Columbia honored me with the title of entrepreneur in residence, and I now hold seminars and thought leadership lectures for the university. I have office hours and coach students, which gives me a unique opportunity to interact with the next generation of innovators and truly make an impact. Each interaction I have with the MBA students is incredibly uplifting. As I help prepare them for life in the tech world, they inspire me with their drive, energy, and hopefulness. Working with students motivates me to try harder, take more risks, and think outside the box. This has had an undeniable impact on my business. As much as I teach students, they also teach me. Their perspectives are refreshingly unbiased, and they can provide feedback and ideas that I would have never considered. Being asked to explain my experiences also helps me think critically about my career, and that is helpful at any stage in the entrepreneurial journey. I’m not the only entrepreneur who sees value in teaching. Many well-known entrepreneurs are now using their expertise to inspire the next generation. For example, Peter Thiel, co-founder of PayPal, has taught Computer Science 183: Startups at Stanford University. Take a critical look at your career. How much time do you have to devote to teaching others? If your schedule is already packed, mentoring or lecturing might not be a good idea for your company or the students. But if getting involved with the community fits with your business goals and your schedule, go for it. Volunteer to help students. After you’ve identified a program that could benefit from your experience, offer your time and services. You could volunteer to be a guest lecturer or a one-on-one mentor. Or you might offer to run a booth at the career fair or let students shadow you for a day. The possibilities are endless. Becoming an entrepreneur in residence has been one of the highlights of my career. I became an entrepreneur because I was inherently curious and had a deep desire to innovate. Helping students allows me to share my passions, and it’s exhilarating to stand in front of a group of young innovators bursting with exciting ideas for the future. As an entrepreneur, you want your team to be the best of the best — the most creative, the smartest, the most skilled. But when it comes to sourcing tech talent, startups can struggle to find the best brains at an affordable price. The talent war going on in Silicon Valley has gotten out of control. Tesla and Apple are notorious for poaching each other’s employees, and Weeby is trying to distinguish itself in the battle for engineers by offering $250,000 salaries. With so many companies competing for talent, you may find yourself debating whether you should try to hire top-notch tech talent right out of the gate or pay to develop in-house non-technical employees. While I believe that it’s possible to build a team of tech-savvy individuals with continual education and training, the more advanced and adaptable your employees are from the outset, the better your chances of getting ahead. When deciding whether you’re prepared to try to teach tech smarts, the first thing to consider is whether you need technical employees or employees who are merely tech-savvy. As a startup, you really shouldn’t consider hiring team members who don’t at least have technical adaptability. My company only hires tech-savvy individuals because 80 percent of our jobs require technical skills. But even if your company is less tech-oriented, nearly every role these days requires employees who have at least basic tech skills. Your job as a leader is to hire people who are hungry for growth and work to unlock the techie inside each of them. But if your business requires employees who are technical — such as developers and software engineers — that’s another story. While it’s possible to incorporate technical training into your company’s culture, training is expensive. According to the Association for Talent Development’s 2014 report, the cost per learning hour for training an employee in 2013 was $1,798. These costs can quickly drown your startup. Another thing to remember is that individuals who come in with strong technical backgrounds simply bring more to the table. They can contribute from day one, bring ideas to life and understand how the technology will impact your company for the next five to 10 years. Hiring someone with technical skills is the difference between hiring someone who looks in a toolbox and doesn’t know which screwdriver to use and someone who can grab the toolbox, find what he needs and start building. 1. Become a tech paradise. To attract the most brilliant technical employees, your company must invest in a strong tech backbone. A-list employees are looking for employers with the tools in place to help them succeed in their roles: state-of-the-art technology; the most up-to-date operating systems; and great tools for social media, employee engagement and operations. Present potential employees with a cutting-edge environment that will help them succeed in their roles, and they’ll be knocking down your door. You can dramatically increase the efficiency of your work environment by establishing workflow automation processes. By taking advantage of the automation technology tools available, you can give employees more control over their responsibilities, create a more efficient work experience and reduce the risk of errors that can halt progress. Finally, you need to optimize your recruitment efforts to attract technical talent. Explore networks where techies collaborate, such as GitHub, and establish a presence at local hackathons and tech meetups. Be candid and exciting in your job postings, and don’t forget to mention perks that will appeal to the tech-minded. When building your startup dream team, it’s OK to hire employees who are merely tech-savvy to fill certain positions. However, non-technical roles are disappearing quickly, and you can’t afford to hire people who aren’t ready to adapt and learn. More tech skills equal more value, so it’s in your startup’s best interest to hire for whatever technical skills you can afford.